Gel manicures are popular among women because they keep nails strong and long-lasting. However under the surface, gel manicures can actually cause nails to weaken, causing brittleness, thinning, peeling and cracking. A recently unveiled report by the New York University School of Medicine shows some health risks associated with gel manicures. Although the report highlights the latter issues of making nails brittle and weak, it also offers tips to keep nails healthy when getting a gel manicure. "As is the case with most things, moderation is the key when it comes to gel manicures. If you get them regularly, you need to be aware of the possible consequences and see a board-certified dermatologist if a persistent nail problem develops." The root issue is that nails that are continually covered with nail polish can hide any health problems present under the nail. As a result, diagnosis and treatment of potential health risks can be delayed. Wear sunscreen on your hands when getting a gel manicures to decrease the potential of damage caused UV light exposure during the curing process. To avoid brittleness, thinning and peeling, rehydrate your nails multiple times per day with a moisturizer like petroleum jelly. 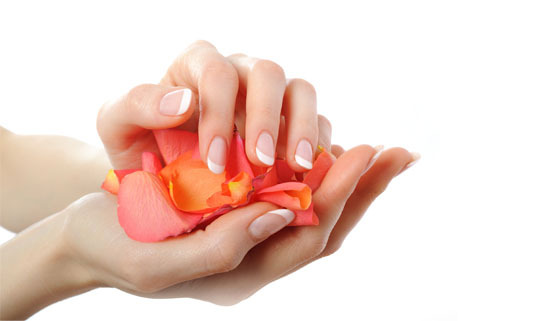 Be conscious of your nail's health and allow time for them to re-grow and repair. Consider getting gel manicures only occasionally to minimize health risks. If you have recurring nail issues, or an allergy to acetone, use traditional nail polish instead of gel nail polish. Avoid using tools to scrape and chip away at nails when removing polish. There's a lot talk going around about the health risks of gel manicures. Regardless of the validity of some of these health concerns, apply some of the tips and take the necessary precautions to minimize exposure to these risks. This article was contributed by the advocates at Five Senses Spa and Salon, one of the leading hair and nail salons in Peoria, IL. Five Senses was also ranked one of top 200 hair salons in the nation.